Click on the bars below to all the subdivisions and condo & townhome complexes in Town. You can also view the most popular searches such as ranch style homes, new construction, homes with a pool or houses with mountain views. Click to see Local Subdivision and Complex Maps. Click on the bars below to view all the subdivisions in Denver by area. Click on the bars below to view all the condo, townhome and patio home complexes in Denver by area. 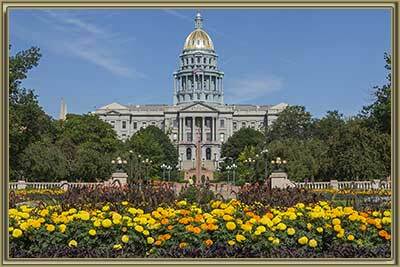 Denver is the capital of Colorado and also the state’s most populated city. An internationally renowned location, Denver mixes modern life with the beauty of nature, providing a potent mix for homeowners. Boasting a thrilling scene of 21st-century city living, Denver can also be a rugged gem thanks to its close proximity to the Front Range of the Rocky Mountains. Despite its modern living, you are never really far away from nature in Denver and the city is the highest major urban spread in the United States, earning Denver the name Mile High City. Sitting on the High Plains, Denver has a diverse range of home options to suit all tastes. From modern condominiums, townhouses, and inner-city builds, to patio homes, golf communities, and full equestrian-friendly ranches. As a Beta-world city, Denver possesses a dizzying array of attractions and things to do. People who like the hustle and bustle of city living are well catered for with world class facilities such as malls, cinemas, restaurants, and night venues all readily available. Denver is steeped in history and the city’s enviable selections of museums and art galleries attest to its rich heritage. Denver Zoo, the Museum of Nature and Science, and the Denver Art Museum are just some of the attractions that draw crowds. Of course, sometimes it is nice to unwind in the outdoors, and while Denver is just 13 miles from the foothills of the Rocky Mountains, the city also boasts several high-class inner-city parks. For example, you can unwind in the Botanic Gardens, the City Park, Washington Park, and many more. See a complete list of attractions and things to do in Denver. Northeast Denver – This area of the city encapsulates the vibrant blend of urban and nature that Denver thrives on. Homes are diverse and will suit all types of buyers. For example, Park Hill is a notable subdivision that is popular because of its access to leisure. Noted as a friendly and walkable community, Park Hill has fantastic access to the city center, local parks, and restaurants. Similarly, Stapleton is a noteworthy new master- planned community in Northeast Denver, providing an innovative approach to modern living. For golf aficionados, Green Valley Ranch is a golf community now hosting a new 55+ adult development called Fairway Villas. Southeast Denver – Cory Merrill provides a perfect blend of city living in Southeast Denver, including new builds and traditional structures. The community is popular because of its excellent transport links alongside retail and outdoor attractions. Urban living in Southeast Denver comes to life in the new Boulevard One at Lowry neighborhood, where you can choose between townhouses, single family builds, and condos. Observatory Park and University Park neighborhoods have been revamped in recent years and are wonderful examples of redevelopments that are attracting a vibrant new range of buyers. Southwest Denver – Matching the diversity of the other regions in Denver, the southwest quadrant offers some amazing homeowner opportunities. Athmar Park is a perfect solution for people seeking affordable properties in a ranch-style setting. Pinehurst Golf Course provides a selection of home choices, such as 2-story homes, townhomes, and condos known as Pinehurst Estates. Southwest Denver also hosts the charming historic homes of Baker neighborhood, a beautiful area of the city. Northwest Denver – A new boutique development in the heart of Midtown, Clear Creek is popular due to its hip new builds and closeness to the Clear Creek bike path, brewery, coffee shop, and park. Another fantastically located community is the Highlands neighborhood, which is walking distance from leading dining spots, retail locations, and parks. Sloan Lake is a community that provides buyers with a choice of historic ranches and townhouses. Sunnyside is noted as a growing subdivision that has easy access to the city center and is ideally located close to amenities and things to do. Finally, Brooks Tower is a sought-after luxury condo complex in the heart of downtown Denver. People selling a home in Denver can get a Denver Home Value Instantly Online by speaking to one of our expert local estate agents. Gold Compass has a team of experienced and dedicated agents ready to offer their advice on home values and pre-listings. We provide a free staging consultation and also link to a market trends report to give you a concise overview of the Denver Colorado housing market. Mike Lies and the team at Gold Compass Real Estate are leaders in providing customers with expert services in Denver, including the West Metro and Foothills regions outside the city. We are specialists in Denver homes for sale and listings are available directly on our website. Call Gold Compass Real Estate at 303-325-5690 to arrange a tour of Denver Homes for Sale and to see our full market report.